August 2016 – Page 3 – Dc to a "T"
We all know the importance of owning a little black dress. But as DC residents, black isn’t just for formal occasions–it’s part of our daily wardrobe! Here is a little outfit I put together that’s business casual but, in my opinion, not boring. My skirt is old from LOFT and is fun for both work and going out. My friends and I all love shopping at LOFT for both workwear and loungewear (although I had never shopped there at all until after college and had always thought of it as too “old” before I realized that they had such cute stuff!). My necklace is from Francesca’s (love their accessories), and I’ve linked a similar style. I remember being younger and dreading workwear because I thought it all sounded so boring (skinny jeans + colorful shirts = much better). But I’ve actually enjoyed shopping for more “grown up” styles over the years and thankfully have always worked in creative environments where a little color and pizzaz isn’t frowned upon. What do you guys think about these sunglasses? I posted on Instagram that my one and only pair of sunglasses (seriously- I only owned one pair other than maybe a cheap plastic pair from college!) fell into the Tidal Basin. Like, talk about a DC moment. I’d had those babies for five years and they survived a semester abroad, NYC, part of college, grad school…come on! So while I am waiting to place an order for a new pair (I generally wear prescription lenses, so the process takes a bit longer), I am having fun with these trendy ones from Marshall’s! I remember first hearing about Pandora back in the day, maybe when I was in 11th grade or so, and it was this cool new thing that I wouldn’t fully get into until college (aka while studying for my art history final freshman year, haha). Well, I’m pleased to report that years later I’m still a Pandora fan (using the free site, I doubt I’ll ever sign up for a paid subscription!). I’m constantly switching back and forth between channels (unless I either LOVE a song or am doing a big cleaning project and am too lazy to get up and press “next,” I usually skip around quite a bit). Over the years, I’ve come up with some favorites, so I thought I’d share my most listened to stations as well as some newish finds. I always love reading posts with other bloggers’ music recs, so I hope these are interesting to you all as well! Florida Georgia Line Radio: Ok, I love country music and especially love Florida Georgia Line. Seeing them in concert is definitely on my bucket list! I often listen to this station for minutes/hours on end, whether I’m doing a monotonous project on the computer, getting ready for a night out, or completing household chores (hey, there’s something about country music that makes cleaning a bit better!). Every song on here is great and I seriously know the words to most of them! Macklemore & Ryan Lewis Radio: This is a hit or miss station but it reminds me of college (in the best way), so I’m into it! Summer Hits of the 90s Radio: If you like chill 90s beats, head right this way…I also recommend Summer Hits of the 2000s Radio. (Why summer is in the title, I don’t quite know). Showtunes Radio: Ok, so far this station seems to play the same five or so songs on repeat, but if you like Chicago the Musical or Les Miz, you’re in luck. Haha. I also love the Beauty and the Beast songs they throw in intermittently. Grey’s Anatomy Cast Radio: I listened to this station a couple of times prior to this summer but really got into it recently. Let’s be real, I mainly listen to hear the songs from the Grey’s musical episode–so good! Sunday Funday Brunch Radio: This station was on repeat at the restaurant I hostessed at and it has the best classic songs as well as some more calm ones. It’s honestly the best background music and makes me happy! @meganpatty_ I love Megan’s blog, Sparkles & Sprinkles, and her Insta embodies everything you’d expect based on that name! I love her use of bright, cheerful colors, but let’s be real, I’m totally also on her page to swoon over her adorable golden retriever puppy. @notes_from_monroe I started following Anna when she lived in Australia (she’s in NYC now!) and could not get enough of her adorable apartment (seriously, it is perfection) and loved following along on her adventures with her pal @theladymimosa (also a must-follow!) If you love home decor and all things chinoiserie, these are your girls! @carlyahill Carly’s account makes me wish I still lived in New York largely because all of her food adventures. Seriously, she manages to find all of the cutest spots (but they’re mainly downtown and still would have been a trek from my UES apartment…at least that’s what I tell myself to ward off the jealousy!). Check this out if you live in NYC or need some inspiration for your next visit! @historyinhighheels Ok, an academic who is also a fashion/lifestyle blogger with a cute apartment and research that takes her to Italy? Officially jeal. If you love food, fashion, decor, education, and travel, this is for you! 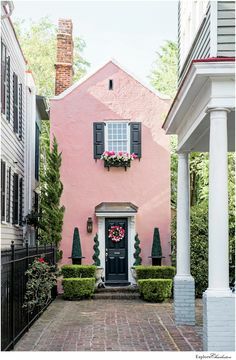 @kateymcfarlan I’m pretty sure I discovered Katey on Insta before I realized she had a blog, but I love her style and home posts (oh and she just announced her pregnancy, so more adorable posts to come, I’m sure!). @styledbychloeliv I’ve also been following this page for awhile! 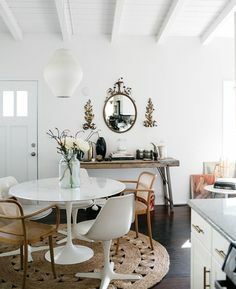 Chloe is an amazing interior decorator living in New York and we’re seriously style twins (although I could probably say that about everyone I’ve mentioned so far, haha…I definitely follow people who all share a similar aesthetic!). I have loved watching her apartment evolve and it looks amazing! @pineapplesandcoffeecups One of those perfect accounts that is always colorful, cheerful, and creative–also I’m glad there’s someone else out there with a huge addiction to cute mugs. @agirlastyle This account has seriously made me want to live or study in Cambridge on multiple occasions…Briony’s “clever fiancé” (could her nickname for him be cuter?) is a student there and the two always seem to be having the best time–think macarons, punting boats, midnight croquet…BRB, heading across the pond for a bit! What are your favorite accounts to follow? Do you follow these? (I love finding out that friends of mine follow the same accounts as I do, it’s like we’re both in on the same little secret, haha). Oddly enough, I first got really into using Pinterest (follow me!) when I was studying abroad in Edinburgh, Scotland, during my junior year of college. It was actually kind of funny looking at pins while I was in the UK, because almost everything I saw on there was just so American. Fall bucket lists? Thanksgiving food spreads? Bring it on. 1) DIY Rosé Gummy Bears. We’ve all heard about the mile-long waitlist to try these babies at Sugarfina, so at this rate, making them at home seems a bit more practical (if you can even use the word practical when talking about designer gummy bears!). 2) Using a drawer as a side table (to store books!) 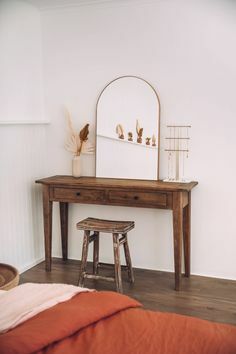 Unfortunately, this picture doesn’t contain any text, but it’s pretty self-explanatory and would be a super easy to make, unique piece of decor to add to your abode. 3) And on the career front…who doesn’t want to sound smarter in emails? 4) My friend makes the BEST funfetti dip…I think these sprinkled animal crackers would be the cutest addition (or maybe a little too over the top?!). 5) This small rental kitchen vision board is calling my name and probably a lot of yours, too. I’ve had my eye on the Rifle Paper recipe box forever, too! 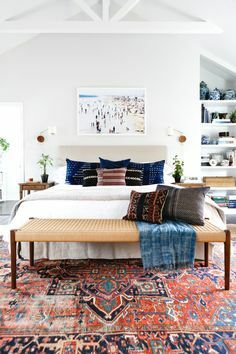 What have you been pinning lately? MCM clearly refers to midcentury modern, not #ManCrushMonday. You scope out the home section of the Nordstrom sale before looking at the clothes and accessories. Bamboo is not just something that pandas eat but is a total hot commodity when it comes to furniture. You do a happy dance every time your favorite website or blogger posts an apartment tour. You’d rather spend your Saturday at the hardware store than at the mall. You troll Craigslist regularly with the hope of scoring a hidden gem. 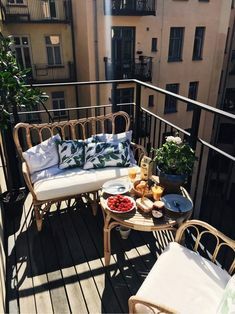 My new apartment has an awesome breakfast nook that I was planning on using to, well, eat breakfast, but I’ve decided that maybe it’s more practical to put my desk in there because I eat all of my meals on the couch anyway it would be nice to have a little more room for it so that I can really spread out when I work. 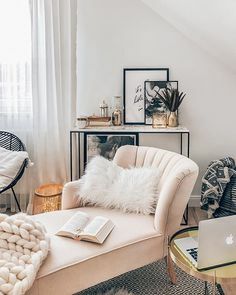 For me, the slightest decorating idea turns into a Pinterest binge and I’ve found more office inspiration than I can keep track of–oh, and if you haven’t seen it yet, Katey McFarlan’s office tour is the cutest thing ever and totally reflects my style–wish I could just order all of the stuff she has and dump it into my apartment, haha. Let me know what you think of the looks below! 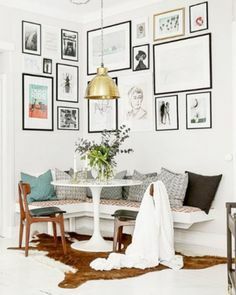 I’ve had my eye on this For Like Ever poster for, like, ever (sorry, bad pun), and I love how it adds a pop of color to a white/clear desk. PS: Curious as to how the poster got so popular? This article explains it all. Hint: it all started with a thesis project! Could this office area be more cheerful? I think all of that color would be a little too loud for my space, but can you imagine how much fun it would be to work there? I’ve had this imaged pinned for awhile and love the classic look and the books laid out on top of the desk. Great idea to use a desk as a nightstand! Decisions, decisions. Which look do you like the best? I ordered this Lilly dress a couple of months ago on Poshmark (hop on over and shop my closet!) and planned to wear it for summer events, but I think it would actually be cute with tights as well when the weather gets cooler. Most of Lilly’s dresses have such loud prints that they’re definitely seasonal, but the darker colors on this dress definitely make it a little more fall appropriate in my opinion. The dress is super comfy and has a fun print without being too juvenile. The tie belt is a nice feature in order to make the dress a little less boxy. Also, I’m still mastering the art of the outfit photo, eek. These gender-neutral cards are great for summer AND are only $4.99 for a 10-pack! This simple, monogrammed stationery is super elegant and not nearly as expensive as it looks! These classic cards would be great for a more formal setting. Anyone who knows me knows how much I love macarons. These notecards are cheerful and are something your friends will hold onto! Umm, how cute are these?! And they’re currently on sale for $4.95! Loving the colors and fun phrase on these. 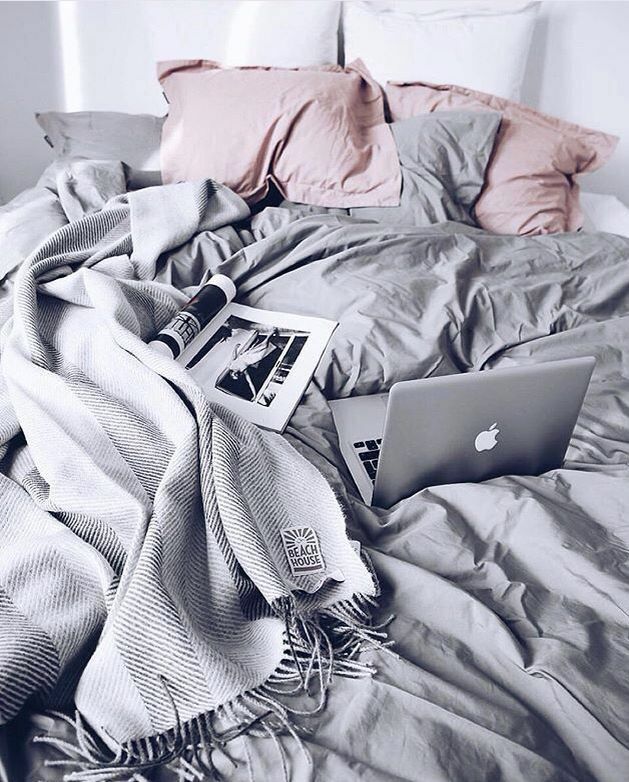 Comfy bed + blanket + Netflix? Works for me. 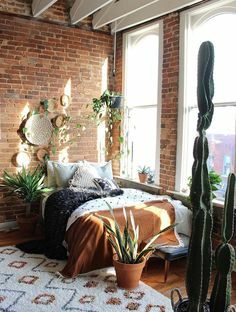 Image via Pinterest. I was never a big TV watcher growing up, but within the past couple of years (likely thanks to Netflix streaming), I have given in and found some favorites. If you’re looking for a new (or new-to-you, at least) show to binge, I’d suggest trying one of these! Grey’s Anatomy: I became addicted to this show during the summer of 2015 and watched constantly (I’m talking multiple episodes a day). I made it to Season 5 in only a couple of months, but then I started grad school full time and didn’t have time to keep up with a 12+ season show. However, I’m trying to get back into it now because 1) I love all of the characters (but especially Meredith and Alex!) and 2) I really, really want to catch up at least to the musical episode because I absolutely love the songs the characters sing on the Grey’s Anatomy soundtrack (seriously, if you haven’t listened to it, at least play those several songs!). Also, is it weird that I kind of liked Dr. Montgomery Shepherd? My guess is this is a pretty unpopular opinion! Also, everyone tells me that the early Grey’s seasons are the best, so I’m kind of hesitant to continue, ah! Maybe I’ll just start again from the beginning and stop after Season 3! Younger: Oh my goodness, my friends and I are obsessed with Younger! The episodes are so short (about 20 minutes), but we all agree that so much is packed into that amount of time that the show feels much longer (in a good way!). Plus, since it’s short, you have no excuse not to watch! Is it embarrassing to admit that it was totally the highlight of our Thursdays this past spring? I even rewatched Season 1 with my mom when we were on a trip together because I love the show so much and wanted to introduce it to someone, haha. Hilary Duff + the publishing world + NYC + an unrealistic but endearing plotline? Sold. Revenge: You have to watch this show. I have always loved “mystery” shows like this and discovered Revenge in 2014 after having gotten into Scandal. I actually think the two shows have a ton in common in terms of some of the plot points. I also love Emily, the main character, and she and Nolan are the ultimate power BFF pair. While this show gets a little more ridiculous season after season (as many shows tend to do), it’s kept me watching! House of Cards: I used to watch this half zoned out after my hostessing shifts, which is funny to think about because HOC is definitely not a mindless show—but I still liked it! Plus, it’s in DC, so I feel like I have to mention it on here! However, I’ve also heard that this one goes downhill over time and I’ve also figured out something that happens to one of my favorite characters because I Googled her name…boo. Note to self: DO NOT Google character names. It never ends well! My other go-to shows: Modern Family and The Middle (I’ve watched both of these for YEARS and haven’t missed a single episode! ), How to Get Away with Murder (the fact that it was supposed to be taking place at a school based on Penn, where I went to grad school, makes it even better), and Kimmy Schmidt (I’ll have to do a whole post on that one…I even dressed up as Kimmy for Halloween last year #superfan). What are you all watching?? Just popping in to share some fun news…Gray Malin (one of my and many other bloggers’ fave photographers) has designed S’well bottles. I REPEAT. What a great collab! If only I hadn’t caved and ordered a different S’well bottle a few weeks ago! I absolutely love this print. Owning one of Gray’s prints is still a home decor goal of mine, haha. But last year, after seeing how Allyson framed a Gray Malin card from J.Crew (how did I miss out on that one?! ), I was inspired to make my own Gray “art” for cheap. I purchased a roll of his wrapping paper (which literally arrived to my NYC apartment the day before I moved, oops) and then have framed it, used it to make cards for fellow Gray-obsessed friends, and more! Just give yourself plenty of time to order if you decide you’d like to do the same. I love how my framed “print” (above) turned out and it definitely will tide me over until I can get a “real” piece!